Reality and fantasy collide in this heartfelt and mysterious novel for fans of Counting by 7s and Bridge to Terabithia, about a girl who must save a magical make-believe world in order to save herself. Things Finley Hart doesn’t want to talk about: -Her parents, who are having problems. (But they pretend like they’re not.) -Being sent to her grandparents’ house for the summer. -Never having met said grandparents. -Her blue days—when life feels overwhelming, and it’s hard to keep her head up. (This happens a lot.) Finley’s only retreat is the Everwood, a forest kingdom that exists in the pages of her notebook. 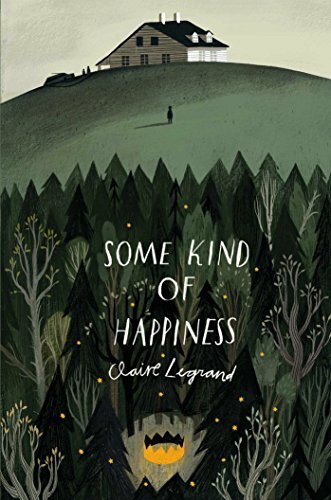 Until she discovers the endless woods behind her grandparents’ house and realizes the Everwood is real—and holds more mysteries than she’d ever imagined, including a family of pirates that she isn’t allowed to talk to, trees covered in ash, and a strange old wizard living in a house made of bones. With the help of her cousins, Finley sets out on a mission to save the dying Everwood and uncover its secrets. But as the mysteries pile up and the frightening sadness inside her grows, Finley realizes that if she wants to save the Everwood, she’ll first have to save herself.